The first time someone asked me if I had tried Kombucha, I had no idea what she was talking about. I wasn’t sure if Kombucha was a dance, a food, a store…I really didn’t’ know. She shared with me the benefits of Kombucha and I decided to give it a try. I have to confess, the first taste was a little odd to me, but by the third sip, I was sold! My body seemed to scream at me, “I like this! Give me more.” I did some research and discovered there are more benefits of kombucha than I realized. Kombucha is an ancient, tea based drink referred to as “The Immortal Elixir.” Records from China as far back as 221 BC mention kombucha. 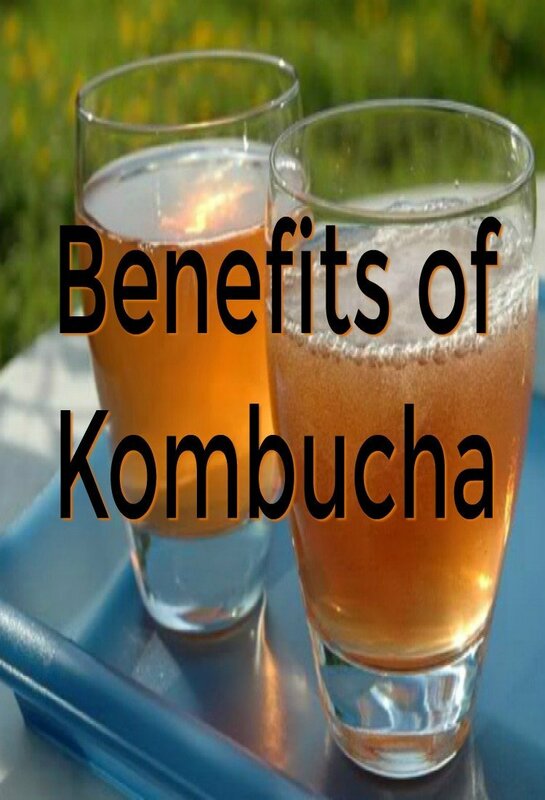 Most of the health benefits of kombucha are because it’s a fermented drink. It’s kind of alien looking and feels weird, but it serves a vital purpose. SCOBY serves as the breeding ground for the yeast and bacteria. It seals off the fermenting liquids so the outside air doesn’t reach them. This keeps foreign bacteria from getting mixed in during the fermenting process. SCOBY can be purchased online from companies which sell starters and health food stores. You can make you own by starting with a piece of SCOBY from a kombucha making friend or use ready-made kombucha. You’ll see the bits floating in the bottle of kombucha you buy. The fermentation process is what makes the kombucha a carbonated drink. Usually, Black tea is the foundation for kombucha, but green tea is popular too. Many people make their on kombucha at home in an effort to make it even healthier. There was an article published in The Journal of Food Microbiology supporting the probiotic properties of Kombucha. The high concentration of gluconic, acetic, and lactic acids found in kombucha make the energizing, immune-boosting, detoxifying, and anti-oxidant benefits of kombucha possible. I’m sure you’ve heard about free radicals. They can wreak havoc in the body, especially in the digestive system. It’s the antioxidant properties of kombucha which are beneficial to helping the body destroy free radicals. Some people have reported better results with kombucha than from prescribed medications for ulcers, heartburn, and GERD. 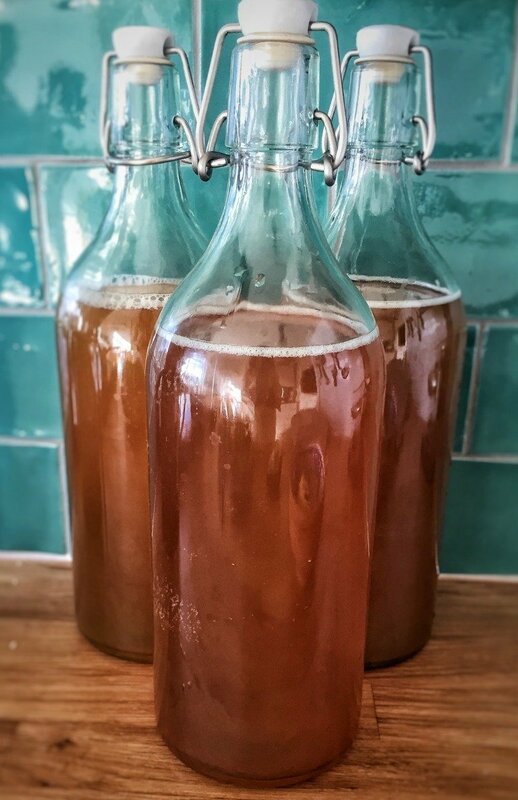 Keeping candida yeast populations under control is one of the more valuable benefits of kombucha. The live probiotics keep healthy gut bacteria alive and well which in turn means the candida has no place to grow. Oxidative stress is a major cause of inflammation and liver disease in the body. One study shows that even when the liver was exposed to toxins, liver cells were protected from oxidative stress injury in patients consuming kombucha. Kombucha is high in iron and vitamin B. Even though kombucha is a tea based beverage, it isn’t high in caffeine. People who drink it regularly state they feel more energized. Iron is carried in the bloodstream to the cells of the body so hemoglobin is increased which increases the oxygen and other nutrients received by the cells which in turn releases more energy…it’s a natural, circular process. This cellular cleansing and rejuvenation process is called chelation. The benefits of kombucha are especially important for the immune system as it supports the body’s natural defenses against free radicals. Antioxidants and Vitamin C present in kombucha are what many scientists believe help protect against cell damage. By boosting the immune system, the body is protected against the damage caused by free radicals and inflammatory diseases. Cancer is an epidemic in the U.S. Studies have shown glucaric acid found in kombucha reduce cancer risks and growth in the human body. For many people facing cancer, daily intake of kombucha is one of the natural tools in their arsenal. Note: it’s not the kombucha itself, but the glucaric acid which has been studied. 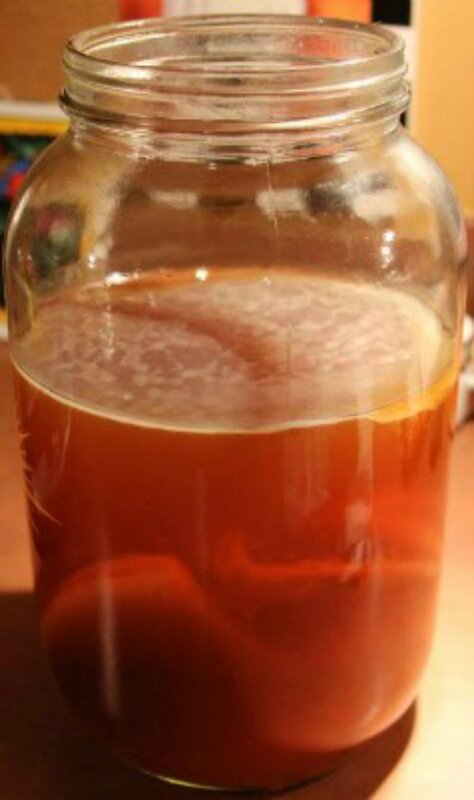 Are There Risks With Kombucha? When making your own kombucha, it’s crucial to prevent bacterial contamination. By using all-natural, high-quality ingredients, operating in a clean environment and sterilizing the equipment, you can certainly get higher quality kombucha by making it yourself. The benefits of kombucha are noticed pretty quickly. You may want to start out with 8 oz a day and increase the amount an ounce or two every couple of days until you’re drinking what you want to. The human body is brilliantly designed to cleanse itself and heal when given the nutrients it needs to perform its tasks. If you’re trying to improve a specific condition instead of just improving overall health and well-being, drinking too much at the get-go may cause your body to go into hyper-speed with healing. Your body will be like “Hey! I need that to fix…. Get to it while we have it!” The effects may be more than you want to deal with all at once. Watch how your body responds and gradually build up to the amount you want to take in every day. By doing this, you’ll be able to see how much you need and avoid any problems. With GMOs and toxins filling our food supply, allergies are on the rise. If you choose to purchase your kombucha, be sure to read the ingredients to avoid a reaction. The kombucha itself won’t cause an allergic reaction, but you may be allergic to one of the ingredients. The benefits of kombucha haven’t been studied in pregnant women. It does have small amounts of alcohol and caffeine from black tea fermentation so I would say ask your doctor or midwife before introducing it. Diabetics should monitor their blood sugars while using kombucha. My favorite kombucha flavor is mango. Do you have a favorite flavor or recipe for the benefits of kombucha?